Is there a way to add drop shadow to an element such that the shadow only appears over another element and not anything else? It would also be okay if shadow appears on other elements but not on empty canvas. I've searched everywhere for it but didn't find anything relevant. 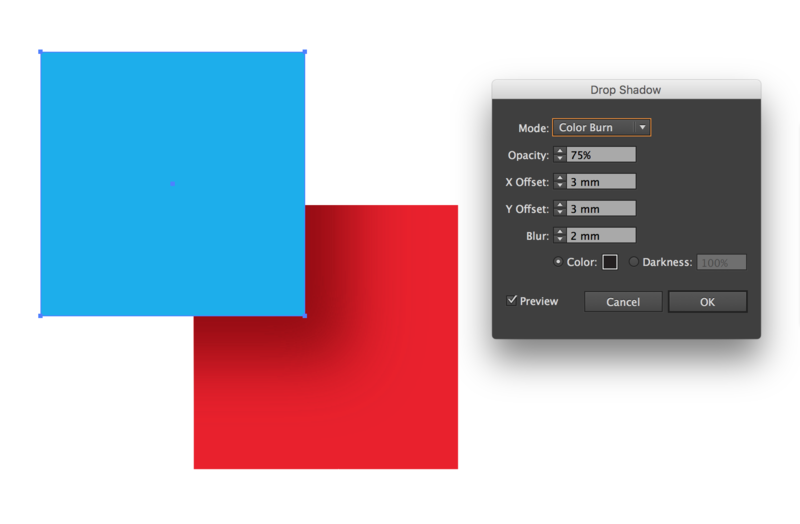 You can try changing the blending mode of the drop shadow. This will depend on the effect you want, what the underlying object is etc. Different blending modes will have different effects so experiment and see what works. Keep in mind that blending modes work differently in CMYK vs RGB so that may have an affect. Use a clipping mask. Copy all the objects you want the drop shadow to cover then use pathfinder to create one shape from the objects and use that as a clipping mask. 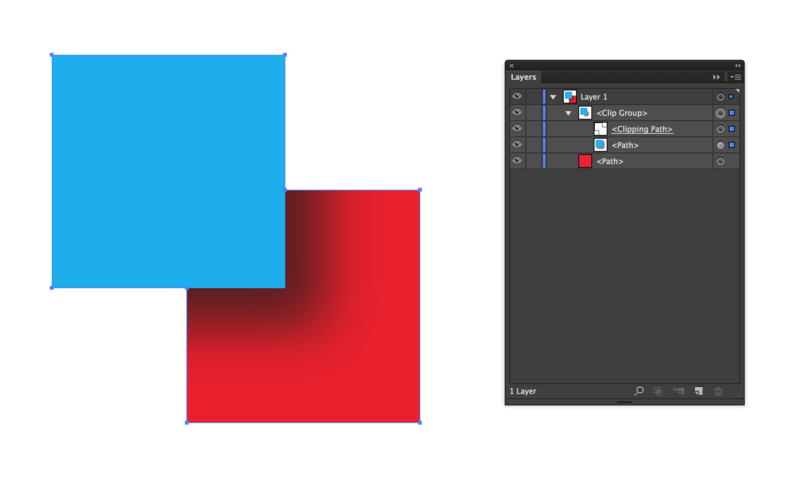 This isn't ideal though as you need to edit the clipping mask as well as the contained objects if you make changes. Easiest way is to create the drop shadow, then select object with the shadow and the object(s) you wish to cover with the shadow, copy them, past in front, remove the shadow in appearance panel, add the objects in pathfinder,then you can make a clipping mask and the shadow will only appear within shape of the mask, thus keeping it off the canvas.